Ever want to play Fate? Ever want to play Fate on a Virtual Table Top (VTT)? Now’s your chance. Learn to play Fate Core using Fantasy Grounds. 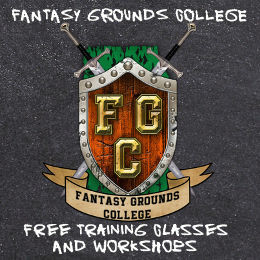 No experience necessary: this session will be a tutorial that uses Fantasy Grounds’ built-in Fate Core ruleset to teach the basics of Fate Core PCs, mechanics, and actions and then put it all into practice by playing through an original two-scene scenario that will serve as a prequel to the Night Fears casefile (adventure). Playing Both Sessions Is Encouraged! : It is encouraged, although not required, for players to also sign up for the main adventure, Night Fears. Since this is a prequel, you will be able to play the same PC in both sessions and to carry forward story and character developments arising in the prequel into the main adventure. You can sign up for that session, the Night Fears scenario, here. Players can play for FREE. To do so, players new to Fantasy Grounds (i.e. not already holding a License or Subscription) must sign up for a free 30-day trial subscription (either Standard or Ultimate) by clicking here. That’s just the idea… I’ve found in my own reading and GM preparation, that Fate Core’s strengths really shine in character-driven narrative and narrative-driven plots. It’s deepening my understanding of RP in RPGs. These promise to be interesting runs, and I’m excited to play through them both! Welcome aboard, Rob Priester and Richard Kurbis! Glad to see you join us, David, Alex, and Kamkor! TriOpticon–yes on all counts: 9 pm Eastern, okay to play in just this one session, and this session is designed for players just like yourself who haven’t had a chance yet to play Fate, Fantasy Grounds, or both, and would like to kick the tires. We have some cushion built into this session to allow time to explain how both work. So please join us! If you submit an official booking, I can reserve a space for you and send log-in info. There should be a “Submit Booking” button right below the comment box. 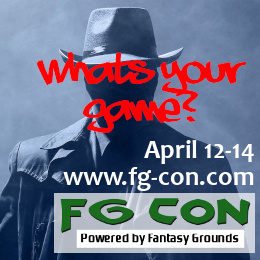 You may need to be logged in with an account of the FG Con website. 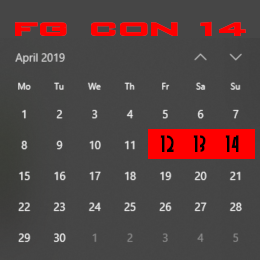 If all fails you can PM me on the FG forum website with your email and I can send you login info. Or just join us on the Teamspeak server 30 minutes prior to start time. I will send a PM as the button is not there. Tried different browsers to be safe. TriOpticon is considered as having reserved a seat for this game. I’d love to get in on this if it’s not full. Sure, GunbunnyFuFu, consider yourself reserved for a spot. I’ll send you the log-in information in a separate email. Due to a cancellation, we have room for one more last minute player. Gunbunny, letting Hector know I cant make it, please take my spot. Hector I’m not feeling well today, please let Gunbunny take my spot. I was looking forwards to this session and was hoping that this illness would pass. Got it Magnatude. Feel better! Hope to do more Fate sessions in the future.